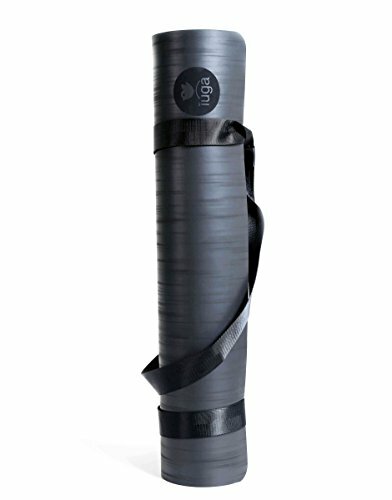 ULTIMATE GRIP - No Sliding and No Slipping. The thin polyurethane top layer wicks away sweat and absorbs moisture for a strong grip and slip-free surface. Technology designed to keep you super safe and always in place no matter what type of yoga you practice. Take your best yoga practice to the next level and go deeper into your poses safely. It's perfect for all forms of yoga, especially Bikram, Vinyasa, Ashtanga and various hot yoga. COMPLETELY ODOR FREE MAT: Unlike other natural rubber and PVC mats, there's no rubbery smell when you take it out of the package. 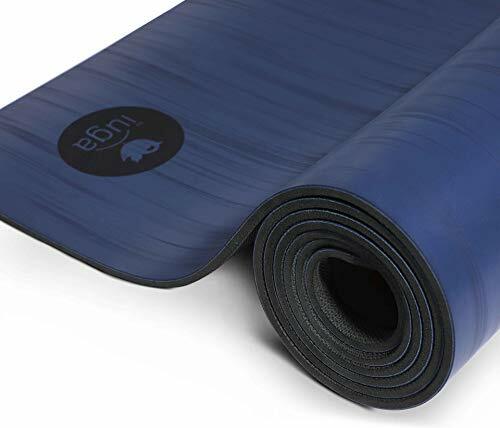 Not only that, the antibacterial material naturally eliminates germs and bacteria to keep odors at bay so your mat stays as fresh as the day you bought it. LIGHTWEIGHT and EXTRA DURABLE: - High Density and Durable. 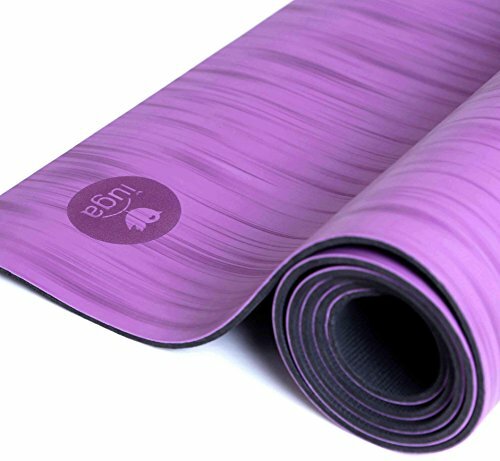 There's no flaking, no stretching, or falling apart with our full-size yoga mats. 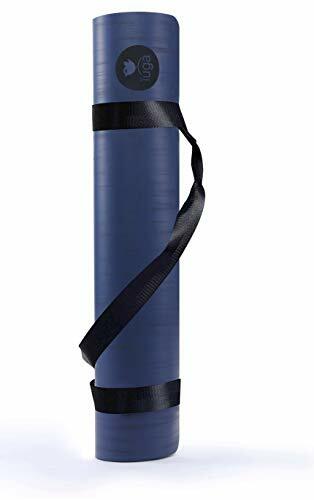 Weighing in at 2.5 lbs, less than HALF the weight of traditional rubber yoga mats, it's perfect for carrying to and from the studio or traveling. 100% NON-TOXIC AND SAFE TO USE: We believe in creating eco-friendly products that are safe for your body, mind and spirit. 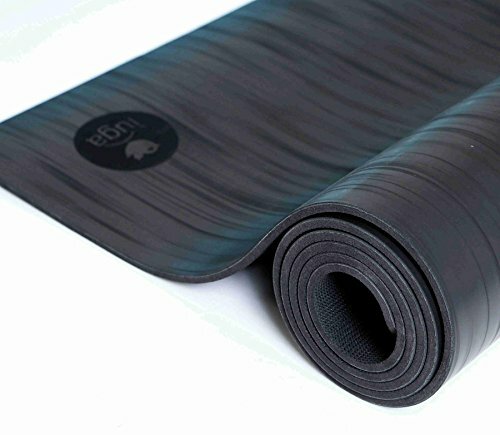 Made with sustainably harvested, biodegradable tree rubber, mat is.completely free from PVC, latex and other toxic materials. 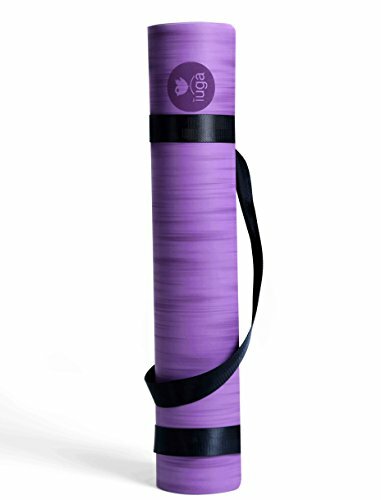 Be kind to your body knowing you aren't breathing in harmful chemicals next time you're doing downward dog COMFORTABLE WITHOUT COMPROMISING PERFORMANCE: IUGA Pro Yoga Mat is the optimal combination of cushioning and stability. The 5mm cushion base delivers comfort while providing a sturdy, grounded feel to keep you stable and supported in every pose. The extra-large size (72"X26") is ideal for those who need more room to spread out.